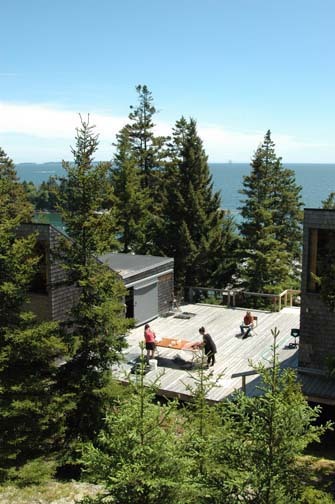 Assistant Professor Rob Duarte is currently teaching a workshop entitled “Noise Machines and Soundstruments” at the Haystack Mountain School of Craft in Maine. Haystack is an internationally recognized school that provides workshops, residencies and other programs for artists, designers and craftspeople. During Rob’s two week residency as instructor for the workshop, he will present a lecture about his work to the Haystack and surrounding community, and work with a group of students to merge digital electronics and traditional woodworking techniques.